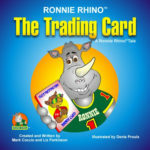 The Ronnie Rhino book series is the first set of children’s books designed to encourage personal development in children without making it sound difficult. We wanted to create a series of books that would educate children in the areas of personal development, personal responsibility and basic manners. These simple concepts, when taught from an early age, can aid parents in creating intelligent, well rounded, self confident children. These ideas are introduced to your children in a light and humorous manner, in order to bring to them real life situations that are easily understood. We understand, as parents ourselves, that children are faced with different challenges than when we were young – however, the basic principles remain the same. It is our responsibility as parents to equip our children with the basic fundamentals in life to ensure that they become self secure, independent and creative individuals. 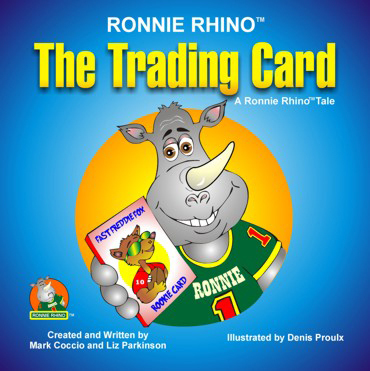 With a little time, love and understanding, the Ronnie Rhino series can aid in creating a positive example, with real life situations, for your children. We hope that you enjoy the first two books in our series. We look forward to including you in the development of Ronnie Rhino and all of his friends. These books are written with the intention to inspire parents to invest in their children’s future – it is amazing what a small amount of positive reinforcement can do! 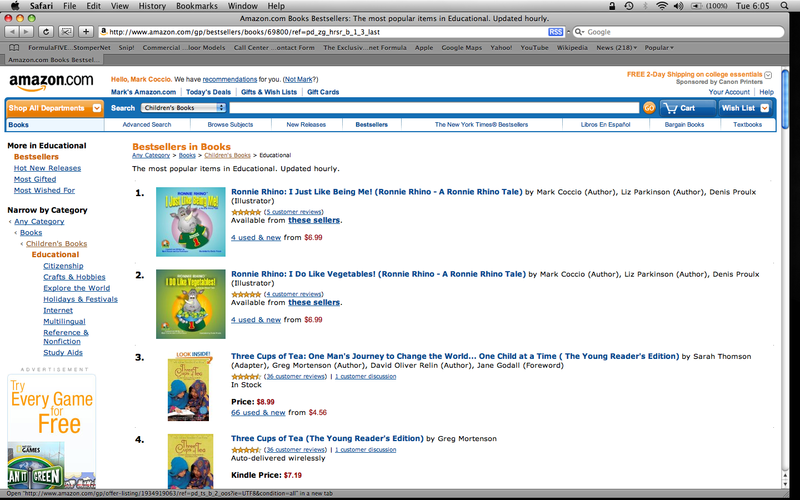 CLICK HERE TO PREVIEW THE BOOKS!